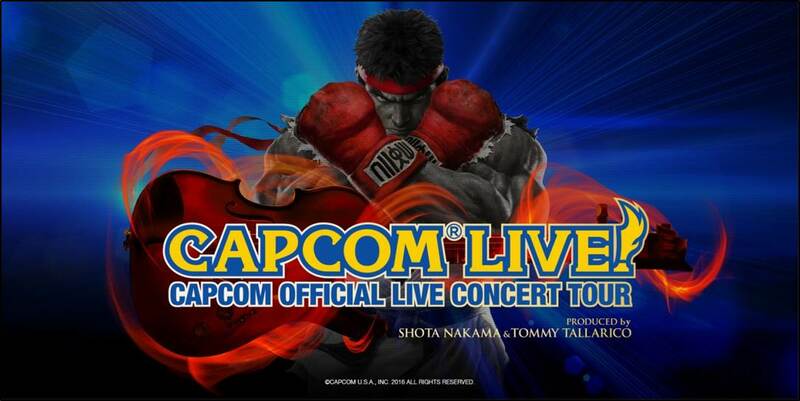 Poster revealed for the Capcom Live! 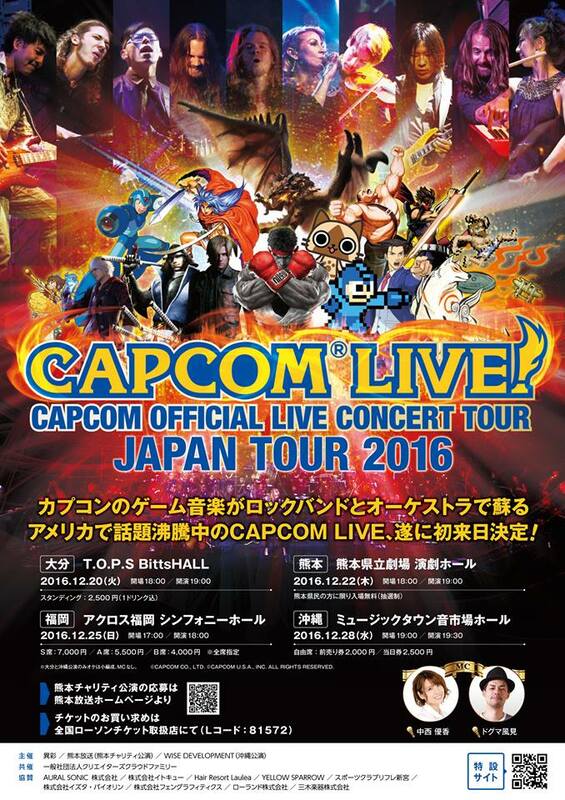 Japan VGO tour! The Video Game Orchestra is a unique orchestra combining the grace of a symphony orchestra and choir with the high-energy of a rock band, performing the most elaborate and exciting arrangements of video game music. The mix of rock and orchestra creates an all new and unique style of “Rockestral” game music, and the VGO has not only made thousands of fans jump to their feet in the US, such as our Live at the Boston Syphony Hall show, but successfully brought their concept to Asia. Since its inception in 2008, the VGO has performed as part of major events such as PAX, Anime Boston and Distant Worlds, and has since toured North America and Asia, performing at all available locations from conventions to symphony halls. Our shows have featured esteemed video game industry legends such as Noriyuki Iwadare (Grandia), Masashi Hamauzu (Final Fantasy X), Hitoshi Sakimoto (Final Fantasy XII), Yoko Shimomura (Kingdom Hearts), Kinuyo Yamashita (Castlevania), and Maname Matsumae (Mega Man), and have had the great pleasure of having a few of these great composers, Tadayoshi Makino (Dragon’s Dogma), SWERY (D4: Dark Dreams Don’t Die), & Yoko Shimomura (Street Fighter 2), be with us on stage as guest performers. The opportunity for sponsors affiliated with us will extend into all areas of our endeavors, including event sponsorships, PR kits, TV, radio, and website exposure and prominent displays in our live performances.